This is day 4 of the English Week @ SharePointPodcast.de with experts interviews recorded at the European SharePoint Conference 2011 #in Berlin. 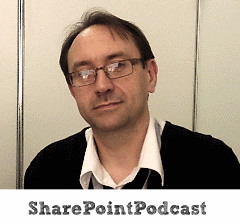 My guest today is Alan Richards, SharePoint MVP and Information Systems Manager at West Hatch High School. Dieser Eintrag wurde veröffentlicht in English, English Week, ESPC11, Interview, MVP, Podcast, SharePoint, SharePoint 2010 und verschlagwortet mit Alan Richards, Education, MVP, SharePoint in education, West Hatch High School von Michael Greth. Permanenter Link zum Eintrag.